The ideal way to incorporate the season's most sought after trend of neons in your wardrobe is by adding neon accessories. 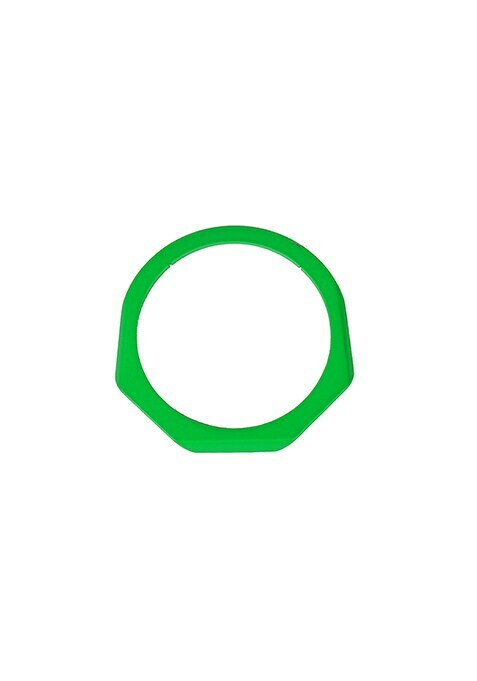 Work this neon green geometric bangle with your casuals in a stack of neon bangles for a funky pepped up look or alone for a sweet trendy look. Style Tip - Wear this one stacking it up with other neon bangles to create a fun arm party for a casual outing with friends.